I have received a payment by electronic transfer for an amount of €36.90 into my bank account. I know this is payment for a sales invoice. There is no identifying information on my bank statement, only some long reference number. Can I search Bullet for an exact amount like 36.90 to find the client. So you can’t search for invoice amounts in our invoice search form. But, you can do the following. Some banks add fees or lump multiple payments in, we’re working with Realex Fire to try and fix this problem for good. 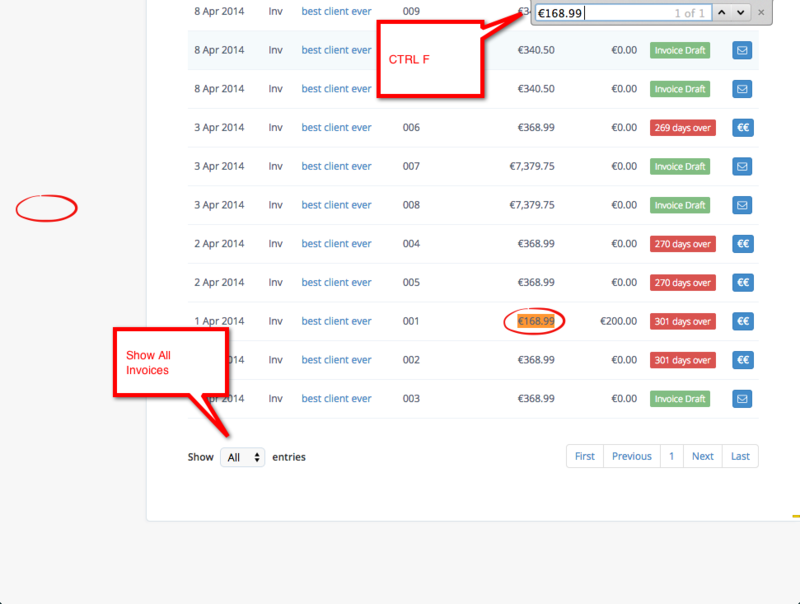 * You can also export all your invoices into Excel and search for them that way. We’ll look at make the search better.